Technology advances at an incredible rate, and not just in the professional or scientific world, but even in your own home. It seems like every few months there’s a new must-have gadget on the market. 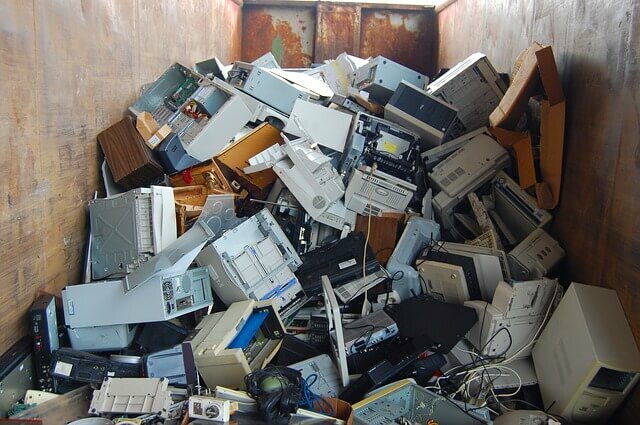 At the rate that people upgrade their personal technology, the developed world creates a massive amount of e-waste, which is a growing problem that people aren’t necessarily aware of. As you can see in this infographic, e-waste is a problem we mustn’t ignore. A broad variety of items qualify as electronic waste, and nearly all of these things get replaced every few years. Of all of the waste that’s produced, only a small fraction gets recycled. So what does this mean for us? First off, electronics are made of many valuable materials that are just going to waste. Moreover, that waste isn’t just taking up room, but it’s full of toxins such as lead, mercury, and nickle, which aren’t only harmful to the environment but also human health. This waste usually ends up in underdeveloped nations, and the people who are exposed to the toxins are rarely given proper protection against them. Properly disposing of your old electronics is simple to do and can keep harmful materials out of landfills. It’s incredible what electronics can be recycled into. According to this infographic, you can power a home for a year with jut 515 recycled cell phones (which isn’t very much when you consider the 65,000 tons of mobile phone waste that are discarded each year). To recycle your old electronics, drop them off at a certified recycling center in your city, donate electronics to nonprofits that will help your gadgets find a new home, or see if you can do a trade in when you buy something new. Besides properly recycling your electronics, you can repurpose and upcycle them. For example, old memory cards have tons of other uses that you probably wouldn’t think of. You can use old technology for other functions or simply get creative and use items like computer parts, CDs, keyboard keys, and floppy disks to make unique crafts and gifts.